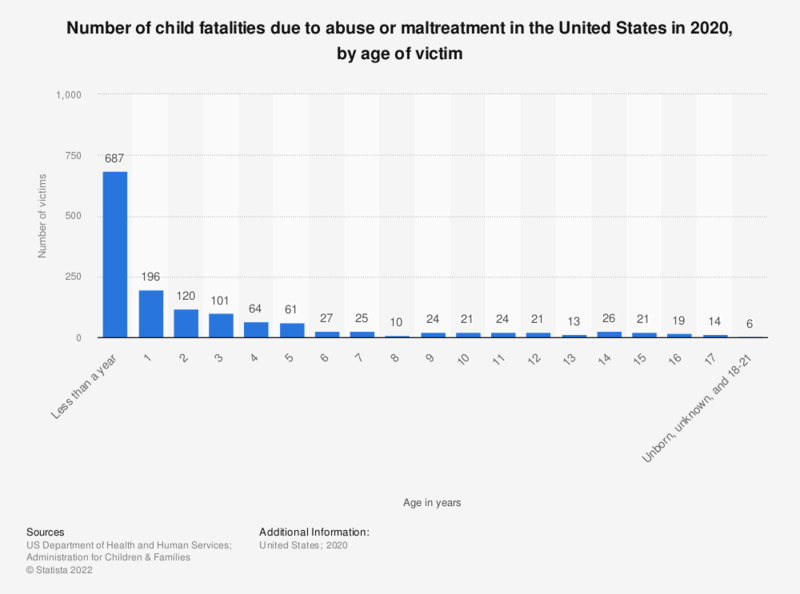 This statistic shows the number of child fatalities due to abuse or maltreatment in the U.S. in 2017, by age. In 2017, total 673 children that were less than a year old died due to abuse. Numbers shown here are based on reports of 44 out of 52 U.S. states.